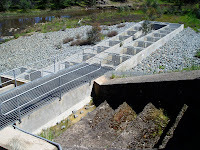 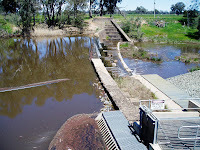 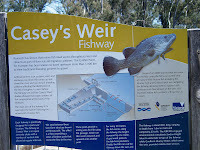 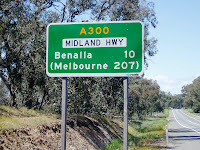 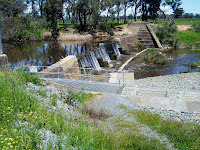 10k North West Benalla on the Midland Highway is Casey Weir and a large, level rest area beside the creek. 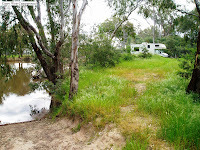 Several of the sites are on the creek bank with shade and there is a large open area away from the creek. 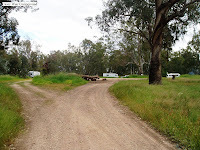 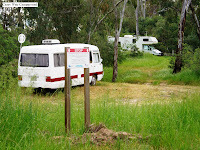 A couple of bins are the only facilities that are available at the camping site which is about a 200 meter walk to the weir. 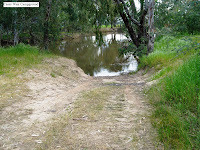 A small boat ramp suitable for launching canoes is there for those that like to have a bit of a paddle.